With "Automatically extend columns as needed" enabled in Column configuration (of Detailed List view), there are still parts of the filename cut off by the following column. Not sure if this an issue with the theme used by Xubuntu, or whether this is a (smallish) bug in thunar itself - thus filling it here. The longest file in dir1 is "qwertyuiop"
I change to dir2 containing "qwertyuiopasdfghjkl"
The column width changes but I can see only "qwertyuiopasdfg"
Because I just added that version (it's 0.9.93 by the way). > Because I just added that version (it's 0.9.93 by the way). "Help" -> "About" says: "Thunar 0.9.3"
> > Because I just added that version (it's 0.9.93 by the way). > "Help" -> "About" says: "Thunar 0.9.3"
Really? I don't think there ever was a Thunar 0.9.3. As for the column issue: I have the same behaviour here using trunk so either Nick or I will look into it. > > > Because I just added that version (it's 0.9.93 by the way). > > "Help" -> "About" says: "Thunar 0.9.3"
> Really? I don't think there ever was a Thunar 0.9.3. > Nick or I will look into it. Are there any patches for it? I'm removing the blocking-1.2 flag. This bug does not cause data loss, so it cannot be considered critical. I'm also changing the version to 1.1.4 as the most recent release of Thunar is still broken with regards to autsized columns. I played with these things a little bit. It seems like autosizing is entirely broken. It's not applied at startup and GTK+ seems to determine the column width wrongly. We'll have to look into it again later. I have the same issue. Sometimes columns enlarges so text can fit, sometimes not. There have been many changes in Ubuntu since that time you reported the bug and your problem may have been fixed with some of the updates. It would help us a lot if you could test it on a currently supported Ubuntu version. 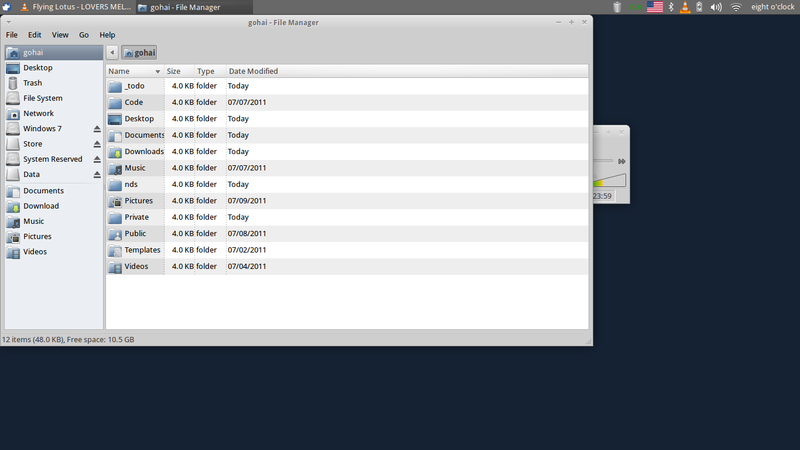 I cannot reproduce this issue at all with Thunar 1.6.4 (Xubuntu 15.04). I confirm this bug, and it is very annoying. Debian testing just upgraded to Thunar 1.8.1, and now whenever I open Thunar on my home directory, the Name column seems to start wide then quickly contract to very narrow, leaving many names truncated with ellipses (...) at the end. Also, since Thunar does not remember column widths (or layout) on a per-directory basis, I spend an awful lot of time fiddling with column widths instead of getting real work done.